SCIENCE WAS FICTION; FICTION WAS REAL. Pentimenti Gallery continues its fall season with a solo exhibition by TED LARSEN. 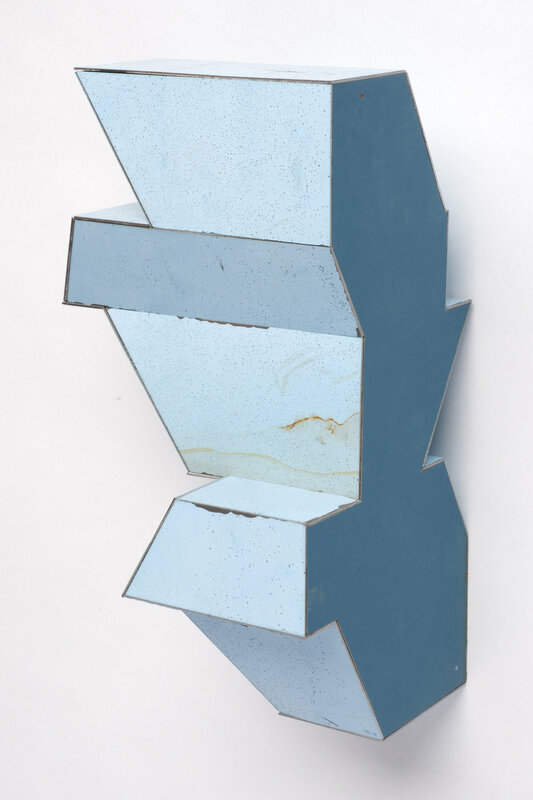 Ted Larsen’s work is created with minimalist ideas to explore the nature of materiality. His studio practice goes against the norm of trying to establish a single theme or overarching agenda, and instead thrives within spontaneity and experimentation. 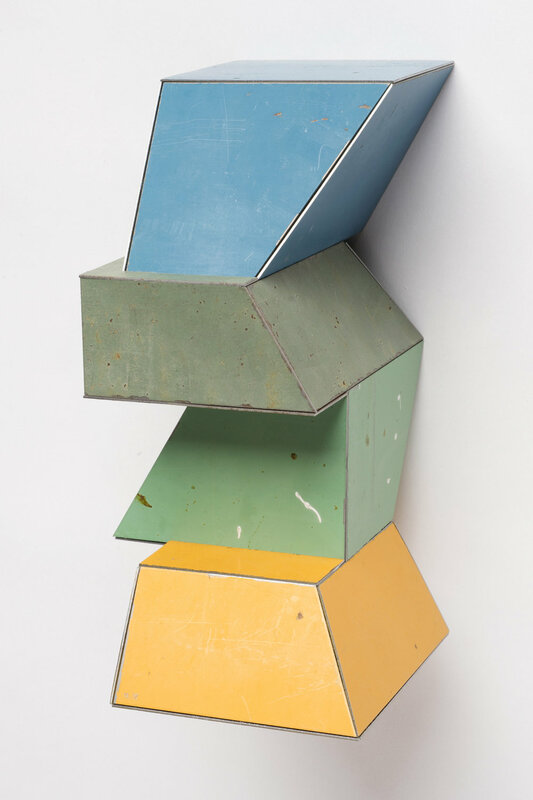 His use of repurposed “non-art” materials forms the basis for a constantly new kind of ready-made. 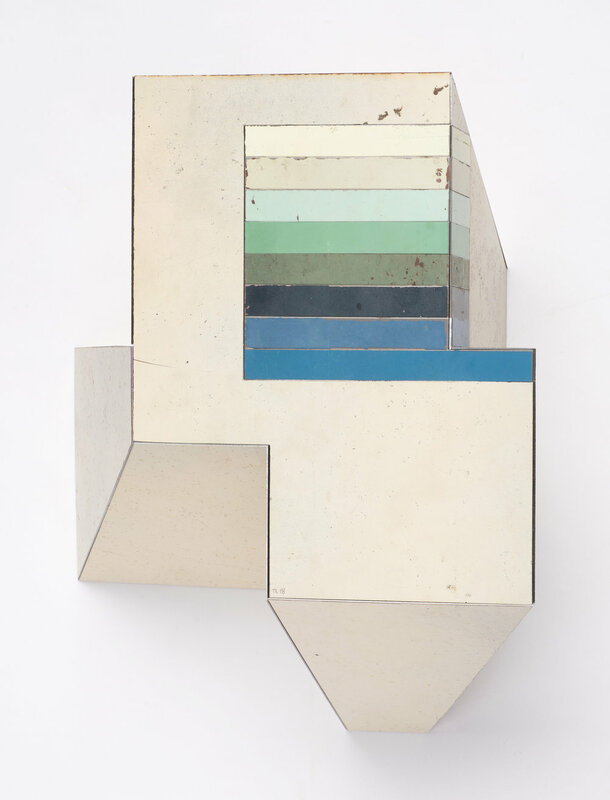 Larsen sees great importance for a High Art practice to examine the elegance of formal structure while bringing modernist pure shapes back down to Earth. Ted Larsen is an internationally exhibiting artist and Pollock-Krasner Foundation recipient with a BA from Northern Arizona University. His work has been exhibited widely in private foundations and museums in the US, including the Boulder Museum of Contemporary Art, Boulder, CO; Strohl Art Center, Chautauqua Institution, Chautauqua, NY; Visual Arts Center of New Jersey, Summit, NJ; Galveston Art Center, Galveston, TX; New Mexico Museum of Art, Sante Fe, NM; The Albuquerque Museum, Albuquerque, NM; The Amarillo Museum of Art, Amarillo, NM, The Spiva Center for the Arts, Joplin, MO, and the Philadelphia Museum of Art, Philadelphia, PA. He has received grants from the Surdna Foundation and the Pollock Krasner Foundation, as well as residencies with the Edward F. Albee Foundation and Asilah Arts Festival in Morocco, where he was the selected to be the USA representative. 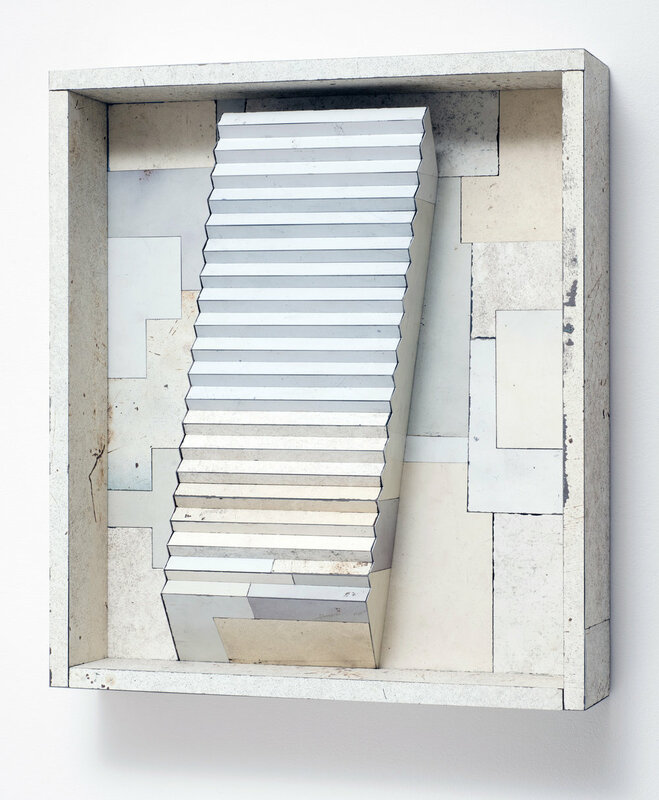 Ted Larsen is included in the collections of The New Mexico Museum of Art, The New Mexico Department of Cultural Affairs, The Edward F. Albee Foundation, The University of Miami, The University of Texas, Krasel Art Center, Lannan Foundation, among others.